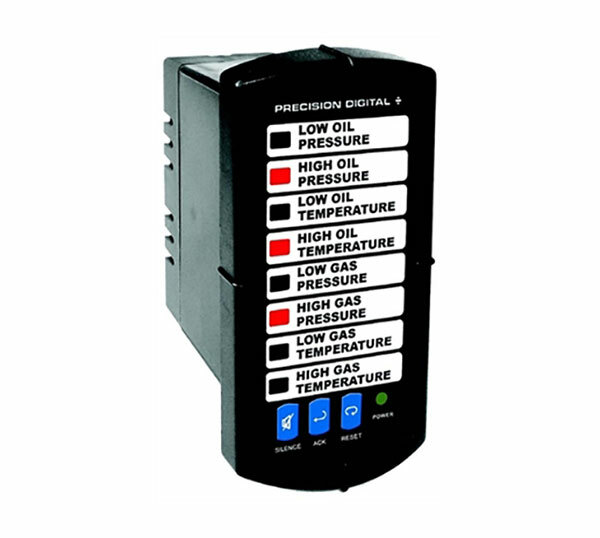 Precision Digital PD154 & PD158 Vigilante II Annunciator - SRP Control Systems Ltd. Precision Digital Vigilante II 1/8 DIN shallow-depth annunciators are loaded with features found previously in annunciators three or four times their size. 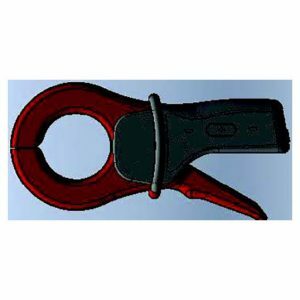 They’re low-cost, compact, easy to use, and perfect for replacing standalone lights. Vigilantes can be programmed for common ISA alarm sequences, accept switch, transistor, and logic level inputs, and can be supplied with free custom printed message labels. 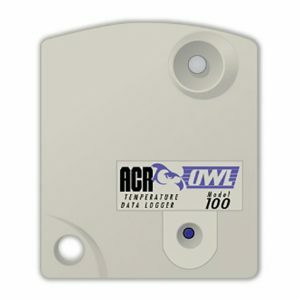 Their industrial-grade design, NEMA 4X front, wide operating temperature range, and sunlight-readable alarm indicators make them great for outdoor alarm applications. Front-panel buttons and rear-panel screw terminal connectors are provided for Silence, Acknowledge, and Reset functions. 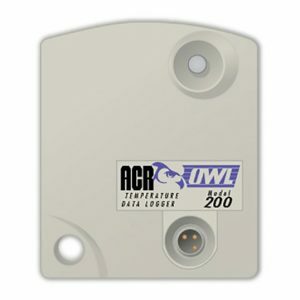 A built-in horn gives audible indication of alarm condition and up to two relays can be used to control external devices such as beacons, horns, or buzzers.